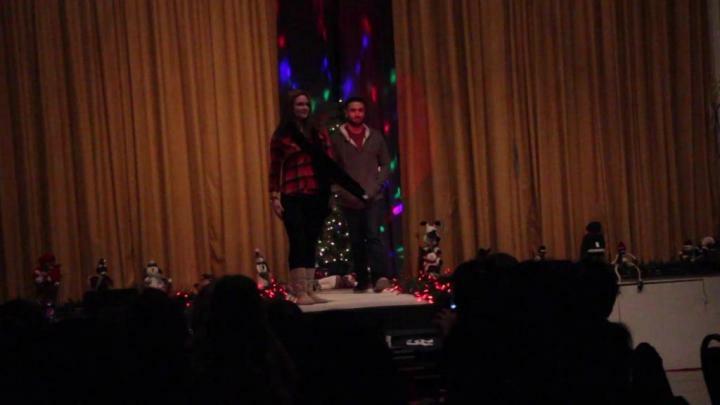 Over 200 of Vanderhoof’s fairer half of the population filled St. Joseph’s gymnasium for A Night of Fashion on Nov. 18. Nov. 24, 2016 6:00 a.m.
Vanderhoof's local radio personality John Vosper is one of 16 models who each showed off six outfits from local apparel business California Dreamin’ at the annual fundraiser for Vanderhoof Children’s Theatre on Nov. 18. Over 200 of Vanderhoof’s fairer half of the population filled St. Joseph’s gymnasium for A Night of Fashion on Nov. 18. The sold-out annual fundraiser for Vanderhoof Children’s Theatre featured 16 local models each showing off six outfits from local apparel business California Dreamin’ throughout the night.